Buffalo Area Warily Eyes The Renegotiation Of NAFTA Global trade has cost the region plenty of manufacturing jobs over the years, but today a lot of companies have learned how to take advantage of the trade agreement. 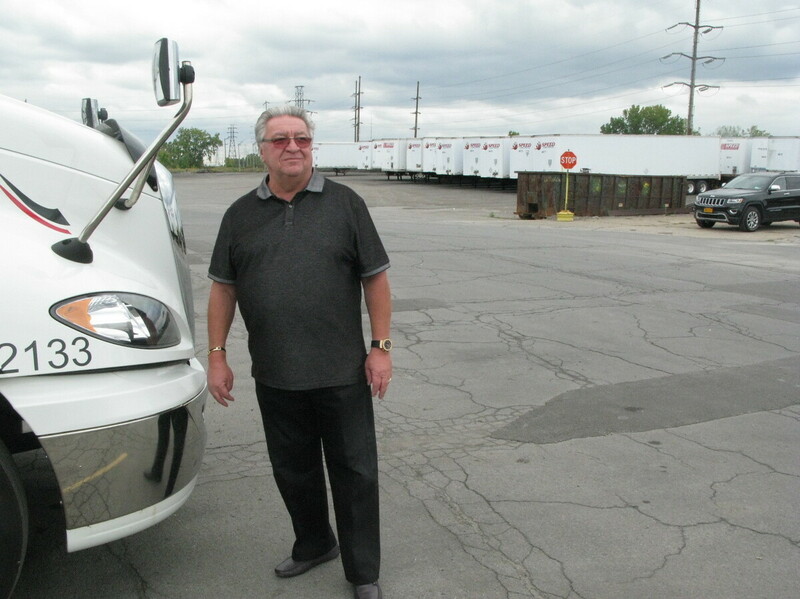 Carl Savarino is president of Buffalo's Speed Global Services, which operates eight trucks a day across the border into Canada. Shortly after World War II, a young Buffalo company — Speed Motor Express — began transporting commercial freight around western New York. As it weathered the ups and downs of the local economy over the decades, the company slowly expanded its fleet of trucks. Then in 1994, the North American Free Trade Agreement, or NAFTA, expanded trade among the United States, Canada and Mexico. Buffalo faces Canada along the Niagara River. Today, the freight company is called Speed Global Services, and it transports a wide array of goods, from bras to lighting fixtures, many of which were made in China. Speed Global Services also stores the items in more than a million square feet of warehouse space. Most of its customers are Canadian companies looking for a distribution center in the U.S.
"We send now probably around eight trucks a day to Canada, and that's just going into the Greater Toronto area," company President Carl Savarino says. "It's the largest population in Canada, and it's 90 miles away. So there's a lot of goods moving back and forth." Global trade has cost plenty of jobs in Buffalo over the years, helping to shrink the region's once-mighty manufacturing base. Today, many in the city view trade pacts with a jaundiced eye. "We've lost hundreds of thousands of jobs in the industrial workforce. This was the third-largest manufacturing city in North America," says Richard Lipsitz Jr., president of the Western New York Area Labor Federation, which represents 100,000 workers. Today, only about 11 percent of Buffalo's workforce is involved in manufacturing, compared with about 34 percent before 1980, he noted. Perhaps as a result of the changes, voters in the greater region turned out heavily for Donald Trump and his anti-trade message in the 2016 election, although the city of Buffalo voted for Hillary Clinton. Lipsitz says NAFTA has helped accelerate the decline of U.S. manufacturing by sending jobs to Mexico, where pay is lower and worker protections are much less rigorous. 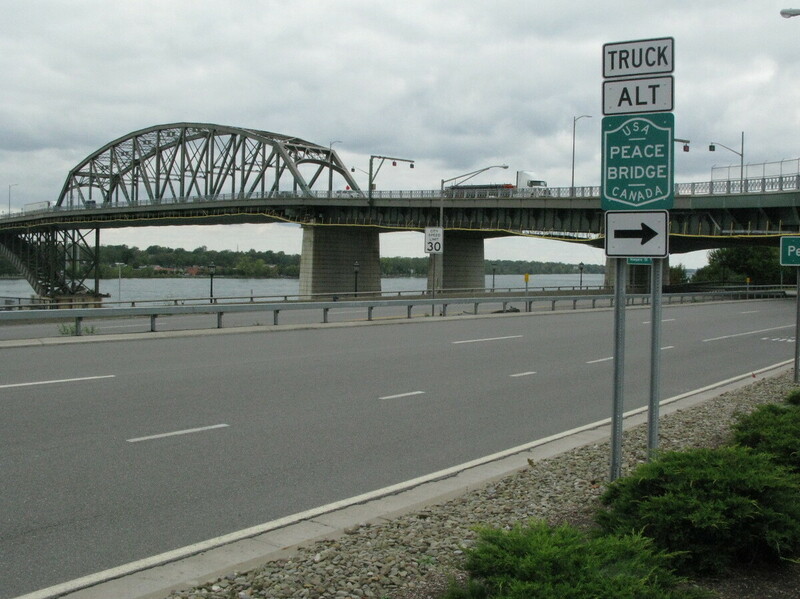 The Peace Bridge links Buffalo to Ontario and in the process connects the region to a web of international commerce. But that's only one aspect of changes in the local economy. Here's another: because Buffalo is so close to its neighbor, with Ontario just a quick trip over the Peace Bridge, NAFTA has created opportunities for many of the region's companies. And many of them want to be part of a web of international commerce. "You can be a buyer or a seller right here in western New York. You can jump in your car, visit a facility or a supplier or buyer in Hamilton (Ontario), work out a deal and be back here for dinner. That's the beauty of this relationship," says John Manzella, president and CEO of World Trade Center Buffalo Niagara. Buffalo's Niagara Transformer Corp. makes devices that help regulate the flow of electricity from its source to its users. Because transformers cost a lot and take months to build, Canadian customers have long been reluctant to buy them if too much uncertainty were attached to the purchase, says the company's president, John Darby. "Many customers would be worried, for example, that maybe the duties would change. Maybe the taxes would change at the border. So the economic calculation that they did perhaps might not be in effect when that transformer arrives at the border," he says. NAFTA has changed that, stripping away the duties and other costs associated with Canadian trade. Today, Niagara Transformer has customers in more than 80 countries, including a large number just over the Canadian border. The transactions flow in the other direction, too: Darby buys specialty steel from an Ontario mill that would be tough to get elsewhere. Darby notes that companies in low-wage countries such as China can easily undercut him on price, but they lack his proximity to Canada, which means they can't provide the same level of service. The prospect that NAFTA could be renegotiated or even scrapped altogether, as President Trump has sometimes called for, would upend the business relationships Darby's company has built up. Craig Duncan has seen one manufacturing job after another disappear over the years because of Buffalo companies moving or getting bought. "There's a high level of concern about instability. There's also a high level of concern about, well, what does renegotiation mean? What does that mean in terms of cost? What does that mean in terms of duties we might be faced with that we don't know about?" Darby asks. That worries Niagara Transformer employees, such as 56-year-old Craig Duncan. 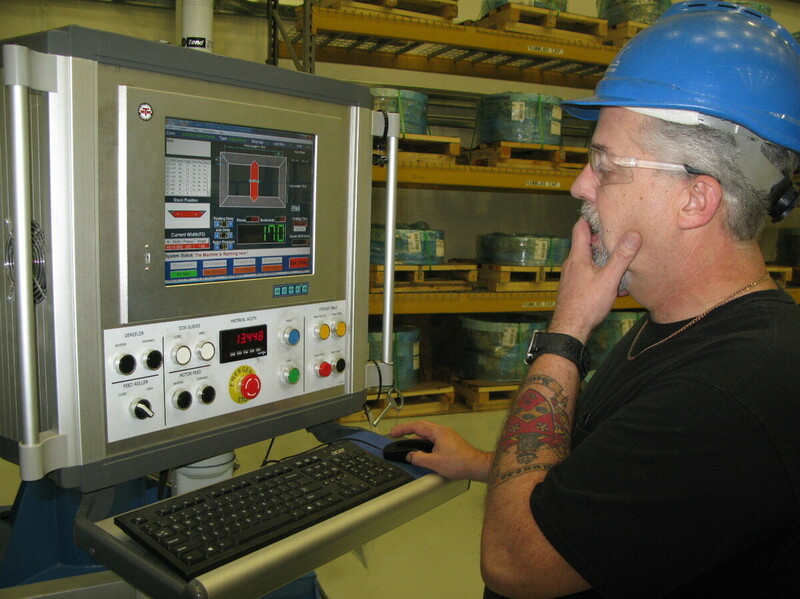 Duncan, who operates a computerized machine that customizes steel parts, has worked at one manufacturing plant after another over the years, only to see them shut down or leave the area. He's been at his current job for 15 years, his longest stretch ever. "I've been put out of work before by other factors. Hopefully, we don't lose business because of a change in trade agreements. Something like that would affect me directly," he says. Lipsitz, of the labor federation, says many of the jobs lost since NAFTA took effect have gone to Mexico, not Canada, where wages and worker rights are comparable to those in the U.S. Still, he sees the renegotiation of NAFTA as a chance to reverse some of the trends that have done so much damage to Buffalo's economy over the years. "We're concerned that the renegotiation of trade packages be done on a fair basis, not on a — quote — free basis, that it isn't just a question of capital moving more freely, but it's also a question of labor rights," he says.